Sometimes you have to resort to shock tactics to get your point across and that's exactly what this mum did by sharing this outrageous image of her toddler sporting a dimple piercing. But don't just take it at face value because all is not as it seems; her motive was actually to start a conversation on another important parenting issue. 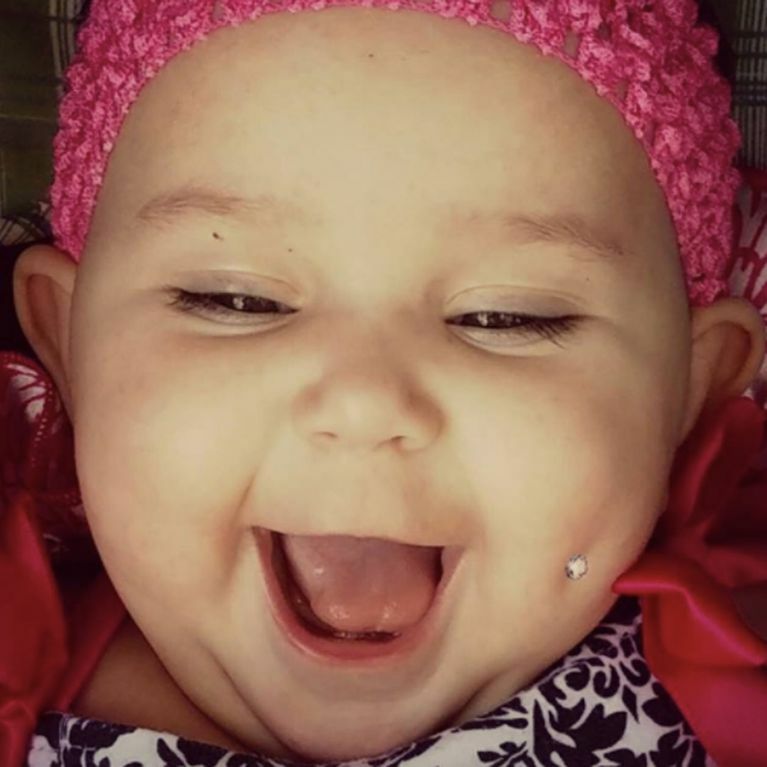 It's not every day you see a baby with their cheeks pierced so quite rightly this photo showing exactly that, shared by mother of the toddler Enedia Vance from Ohio, has sparked outrage. Unsurprisingly, it's since gone viral with almost 13,000 shares and the number continues to rise. "So I got the baby girl's dimple pierced!! But before you start dialling Childline, hold on a sec because all is not as it seems. The post was actually a hoax, with the piercing being nothing more than some careful Photoshopping, and the caption sarcastic. ​But what was the motive behind her shock value? Enedia shared in protest of parents choosing to have their children circumcised as babies, at an age where they are too young to give their own consent. Talking to IBT Times, the mum revealed she has been campaigning against child circumcision ever since she was asked if she would want her son’s foreskin removed by a doctor, during her first pregnancy back in 1998. Enedia never expected the post to generate as much interest as it has and she's understandably been blown away by the response from other users, mainly those who did not realise the 'piercing' was a fake. Addressing the controversial post, the mum wrote: "This is definitely bigger than I ever imagined! I'm so excited that the world is finally talking about children's right to physical integrity. ​I wanted people to get outraged, to react, to be completely shocked that someone would pierce their child's face. Then, after they realise what the post is actually about, piercing the face doesn't seem so bad when compared to genital cutting. They have to justify their outrage over a piercing vs their acceptance of genital mutilation. No one has the right to alter or modify another person's body, whether piercings or genital cutting, for aesthetic purposes, not even parents. Thank you everyone for the shares, for the comments, & most importantly, for being a part of this extremely important global conversation." So there we have it folks, another example of the power of social media to get your message across - the proof is in the pudding piercing.